It is only the fourth day of November and I already feel like I am behind. It was a bit naive to me to think, to optimistically rationalize to myself, that November will be a slower month. I have always conceptualized that December is the month of tinsel-adorned busyness and November is simply the calm before both the metaphoric and physical snow-driven storm. 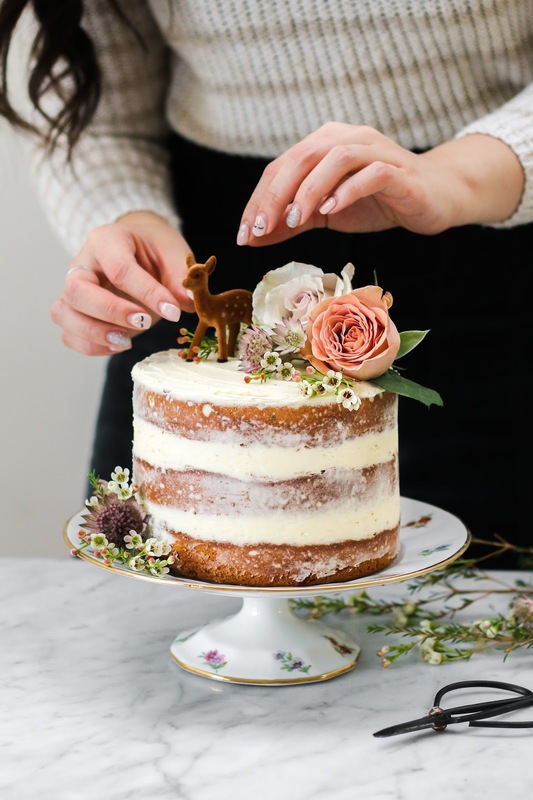 I have been keeping busy all of October and all of November that have unfolded so far by making simple cakes, sometime you can make, decorate, and serve all within a Sunday afternoon. I would not say they lack ornateness but they just exude a different type of beauty. A blanket of pear slices or interwoven apple slices is what I have developed an affinity for. 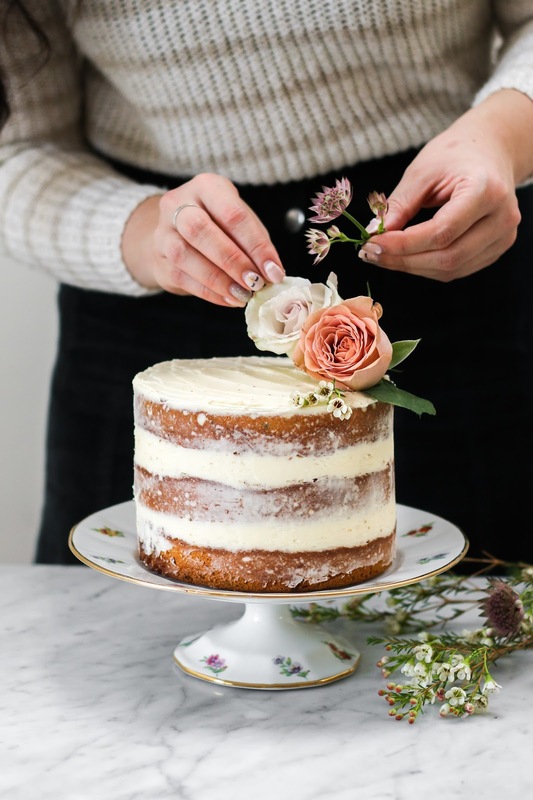 The love of making single layer cakes and nutty tortes has washed over me — not in the ever oscillating ebb and flow type of manner, but in a more permanent way that I do not see changing any time soon. 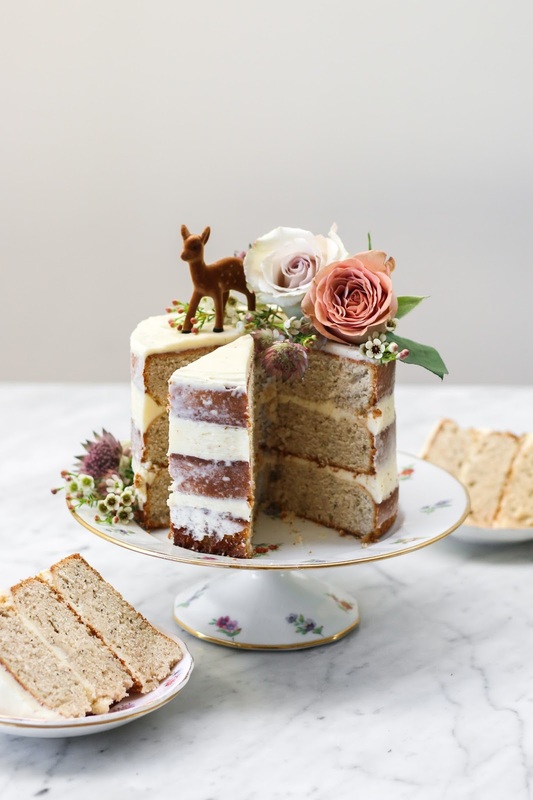 I say that but I am sharing a recipe for a three layer cake today. 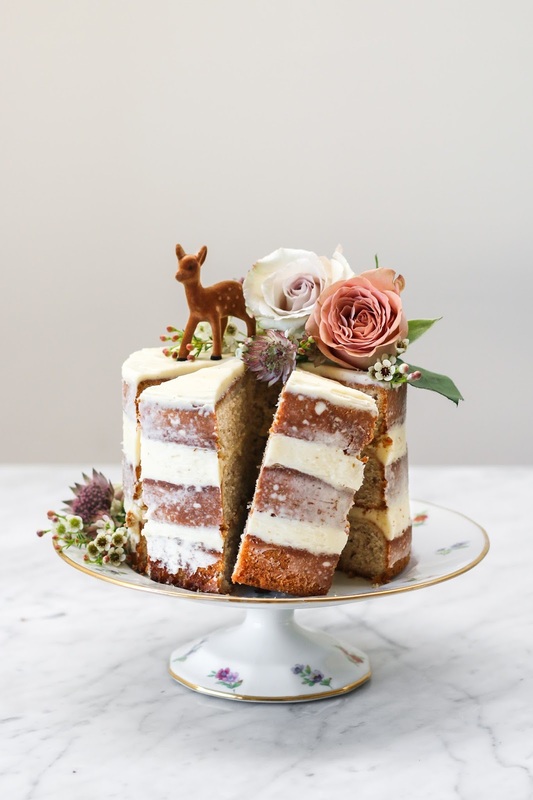 I am leaving this three-layer jasmine cake for you now but you can expect to see more tortes in spring form pans studded with pears and apples in the next little while. In between baking and shooting all the aforementioned fruit tortes, I have managed to play around with jasmine tea in cakes. I have always loved using loose leaf teas and tea powders in baking. 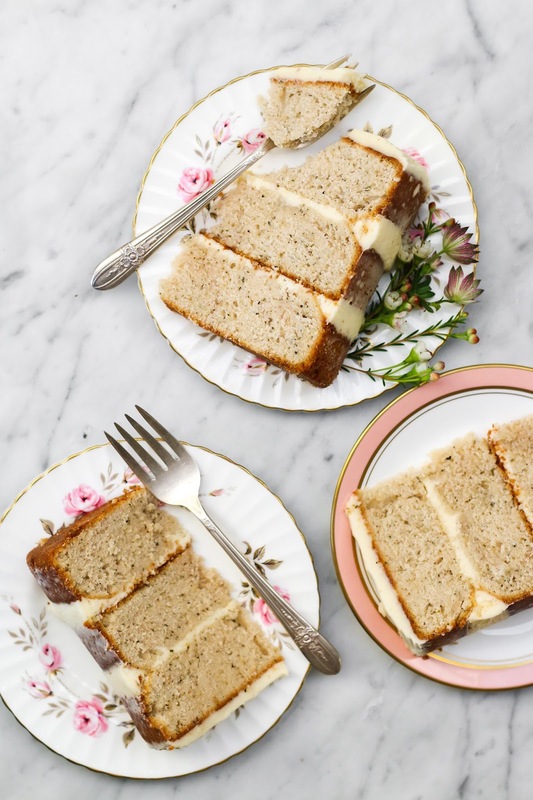 Earl grey and matcha have made several appearances on the blog and many more in my kitchen. Apparently when you steep too much earl grey tea leaves in cream to make a crème pâtissière, it turns the crème into the most off-putting colour. It tastes wonderful but filling a tart shell with it is a whole different story. Perhaps I can tuck it inside choux or between two cake layers. Jasmine tea is one of those favourite flavours that took a while to make an appearance on the blog. 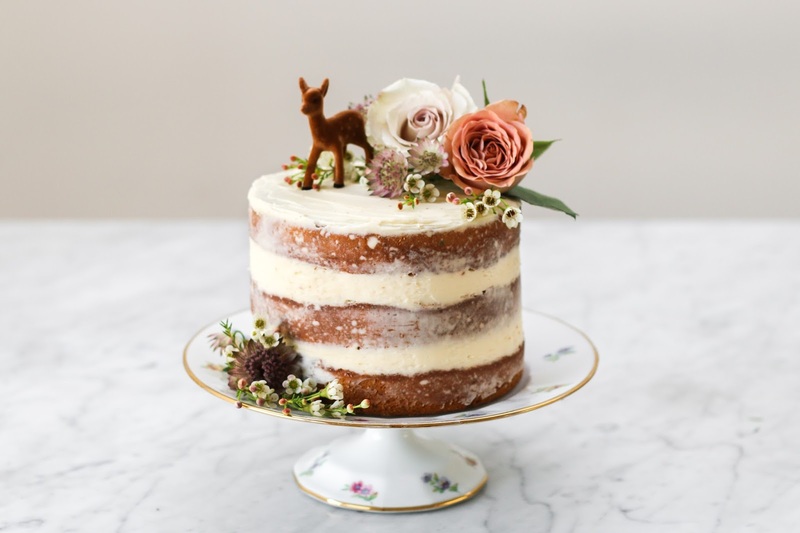 I have tried incorporating it into cakes but its flavour always seemed to get quickly washed away by the butter, sugar, and vanilla of the cake. After making quite a few cake rounds and infusing jasmine tea in every way, I have decided the sometimes two is indeed better than one. 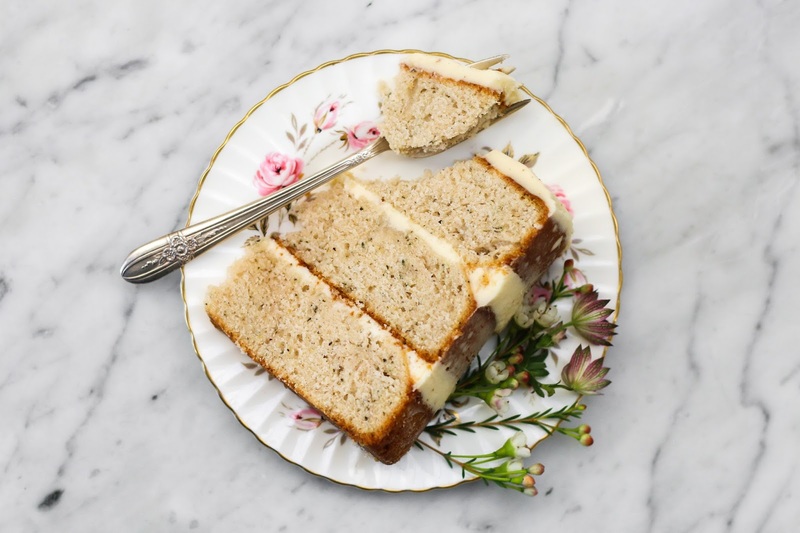 This jasmine tea cake uses a very strong jasmine steeped milk and finely pulverized jasmine tea leaves in the dry ingredients. The jasmine tea flavour is very delicate but is definitely present. 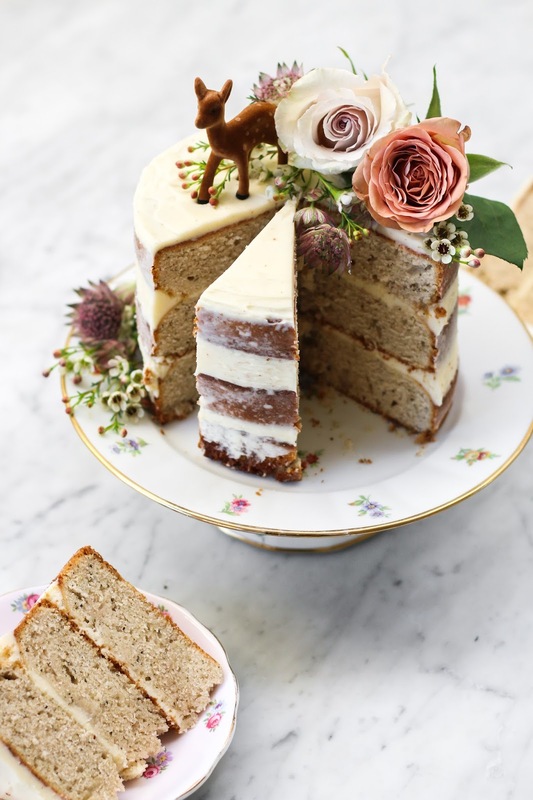 You can make a jasmine tea simple syrup to brush on the cake layers if you desire something even stronger. 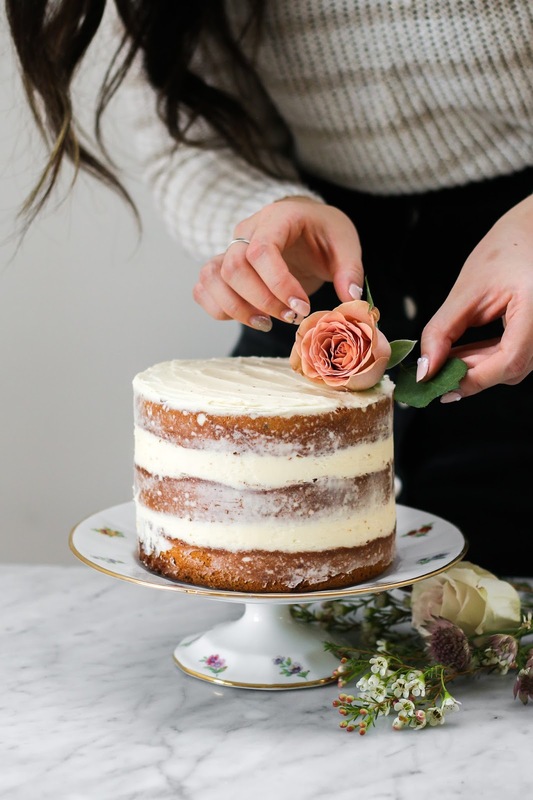 The honey swiss meringue weaves it all together seamlessly and makes you realize that this buttercream is exactly what the cake has been looking for all along. In a medium sauce pan over low heat, combine milk and 2 1/2 tablespoons of loose leaf jasmine tea. Bring milk to a light simmer and continue cooking for 3 minutes. Remove sauce pan from heat and continue to let jasmine steep in milk until mixture returns back to room temperature. Once milk has cooled, strain milk with a fine-meshed sieve to remove any loose tea leaves. You will have roughly 200 - 225mL of milk remaining. In a separate bowl, whisk to combine flour, baking powder, 1 tablespoon jasmine tea (pulverized), and salt. Let cakes cool for 10 minutes before removing from cake pan to cool on a cooking rack. Once the mixture has cooled a bit, very slowly add small 1cm cubes of softened butter. 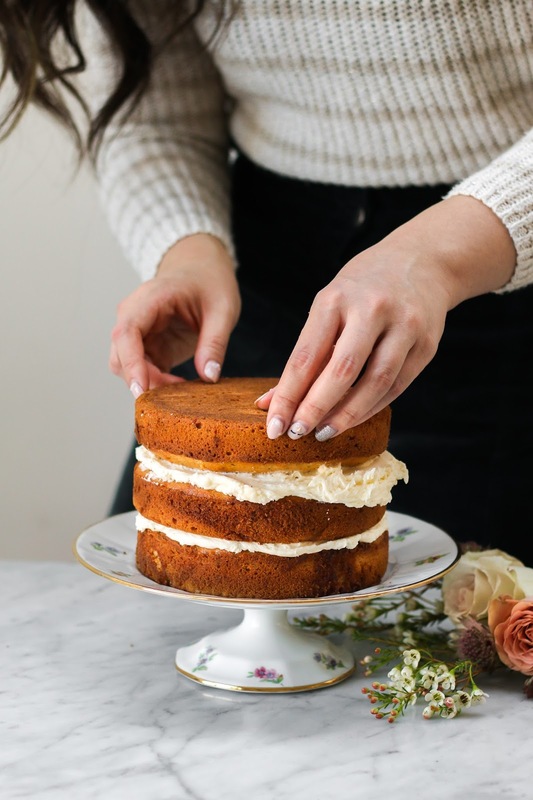 Continue whisking until buttercream is light and fluffy. Continue whisking buttercream while slowly adding tablespoons of honey. 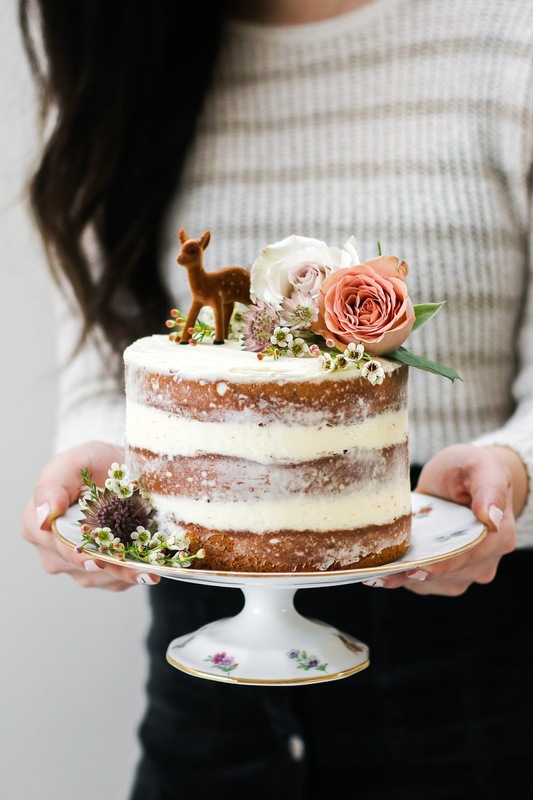 From the looks of it, the cake looks really fresh and yummy. I'm a cake lover myself so I can't wait to try it out. Thank you for sharing the recipe in the post. 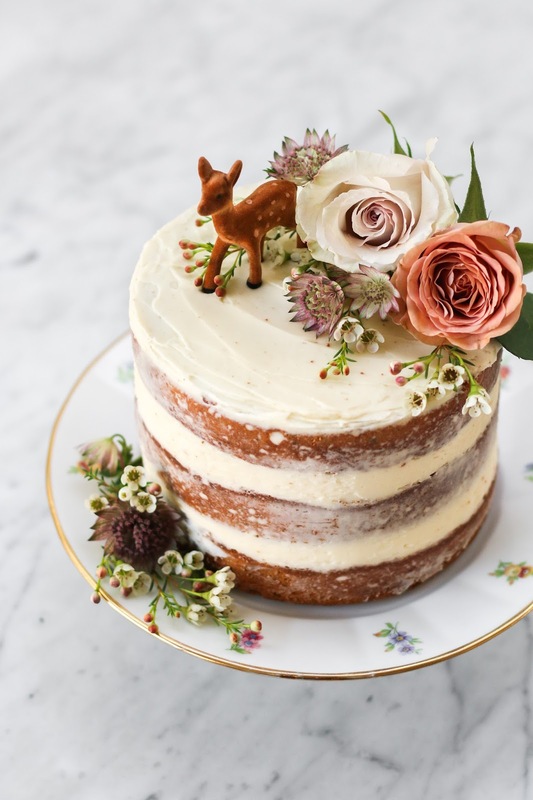 This is a beautifully presented cake, and I absolutely love the subtle fragrance of jasmine, and adding the floral notes of honey sounds perfect. November is the busiest time of year for me - I think the idea of casual lazy autumn days is very common but bears no relation to the reality for me!